What is an Ultra-Low Emission Vehicle? 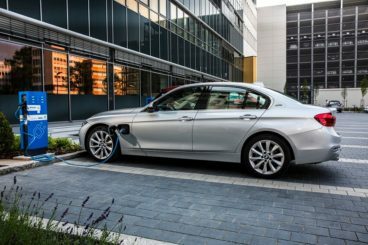 The chances are you’ve heard of an ultra-low emission vehicle (ULEV), and you will probably be hearing about them a lot more in the coming months. ULEVs are becoming increasingly popular, and will become even more so when the tax changes are introduced in April 2017. But what are ultra-low emission vehicles? And is one right for you? We take a look at what ULEV’s are, their pros and cons, and whether they are good for you. An ultra-low emission vehicle (from this point, we’ll refer to them as ULEV’s) is a vehicle that produces less than 75g/km of CO2. All of these could be ULEV’s, as long as they emit 75g/km or less of CO2. We’ll have a look more at examples of ULEV’s later on in this article. What are the pros and cons of an Ultra-Low Emission Vehicle? There are pros and cons to every type of car, and it’s important to weigh them up before deciding which car is right for you. 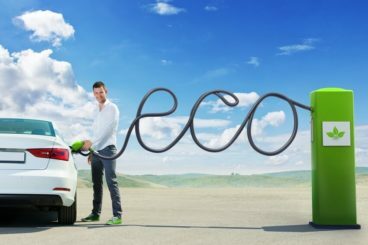 So what are the advantages and disadvantages to ULEV’s? This is probably the most obvious one. If you want to be an environmentally conscious driver, then a ULEV is the way forward. Many electric vehicles can now get over 160 miles on just one charge, and their range just keeps getting longer and longer, and don’t even get us started on Tesla. There are a number of legislative measures being introduced across the country that favour ULEV’s. These include clear air zones, Energy Savings Opportunity Schemes and the fact that Transport for London want to make central London an Ultra-Low Emission Zone by early 2019. It was 2020, but Sadiq Khan wants to achieve this earlier than planned, giving you a whole year less than you may have already thought. Not only that, but they may introduce a surcharge for older, polluting vehicles. So if you have an older car that produces more pollution that you’d like to emit, what better upgrade than a ULEV? There are also significant changes to both VED rates and company car tax, which we will discuss later on. So there are quite a few advantages to investing in a ULEV. However, as with pretty much everything, there are disadvantages. And, there are some things you should know before you decide whether a ULEV is right for you. 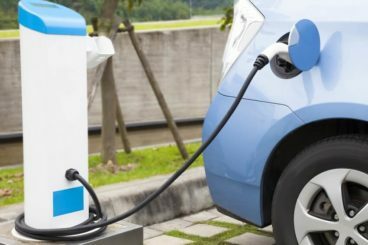 You may have noticed that there is a significant difference in the price of a petrol or diesel car and its electric or PHEV counterpart and definitely more expensive than its petrol/diesel competitors. While ULEV’s are getting cheaper, and you will make some of that back via the extremely low running costs, you’ll still have to part with a fair bit of money. 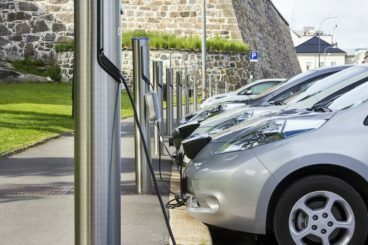 Forget the fact that many electric cars can go twice as far as 98% of the average car journeys, range anxiety is still alive and well, and a significant factor in deciding whether to get a ULEV. However, we’re hoping that this will pass with time as ULEV’s become more common and more charging points are installed. After all, you still can run out of fuel, right? There are about 20-30 ULEV’s on the market at the moment. While we don’t doubt this will increase, and rapidly, it’s not ideal if you like a wide variety of options. Some love the look of the electric vehicles; some hate it and would never be seen in one. And if you’re the latter, a ULEV probably isn’t for you. However, some may be able to overlook their unique appearance in favour of their low running costs and their environmental benefits. In the 2016 Autumn Statement, it was announced that there would be some huge changes to the way company cars are taxed. 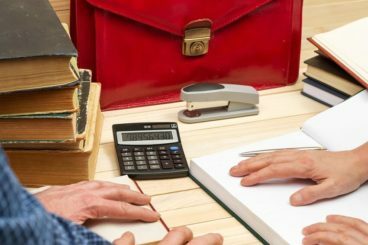 It was announced that salary sacrifice schemes would now be subject to the same tax as a cash income. This means that those with company cars could end up considerably worse off come April 2017. However, there are exceptions in the form of ULEV’s. Ultra-low emission vehicles will be exempt from these changes and will still continue to be taxed as per the current system. But that’s not all, there are also changes to company car tax. Essentially, due to the increasing popularity of ULEV’s, the government have introduced new tax bandings for these low emission cars. For company car tax, there are 15 new bandings being introduced, and 11 of those apply to lower emission cars. Zero-emission cars will be taxed 2% and anything between 1g/km and 50g/km of CO2 will be taxed between 2%-14%. This means that although you will be exempt from the salary sacrifice changes, you may still end up paying a bit more for company car tax. You can read more about those changes here. Changes to VED rates were announced earlier in 2016 in the Spring budget. These changes are similar to the company car tax changes, and include more bandings for lower-emission cars. Before, any car that emitted 99g/km of CO2 or less were free to tax but come April 2017, this will no longer be the case. Instead, cars that emit between 1-100g/km of CO2 will be taxed between £10-120 for the first year, and £140 for the following years. However, these changes will not come into effect until April 2017, so if you’re looking for a new car, you still have time. You can read more about those car tax changes here. Which cars are Ultra-Low Emission Vehicles? Click here to see what’s available now. So hopefully this has given you a bit of an introduction to ultra-low emission vehicles. While they aren’t for everyone, they are something you should seriously consider when looking for your next car. learning center, Ultra-Low Emission, What is an Ultra-Low Emission Vehicle?